“Freedom” is one of the most contested words in American political discourse. In Whose Freedom? 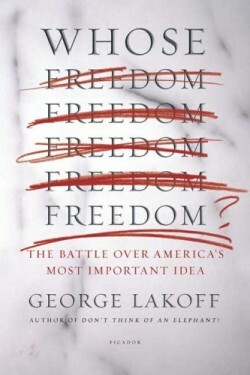 The Battle Over America’s Most Important Idea, George Lakoff describes how the country is divided by two dramatically different worldviews, cognitive frames that determine how we think about economic policy, religion, science, foreign affairs – and freedom.